This Listing is for one bow. Are you planning a wedding? Perhaps you are planning a bridal shower. 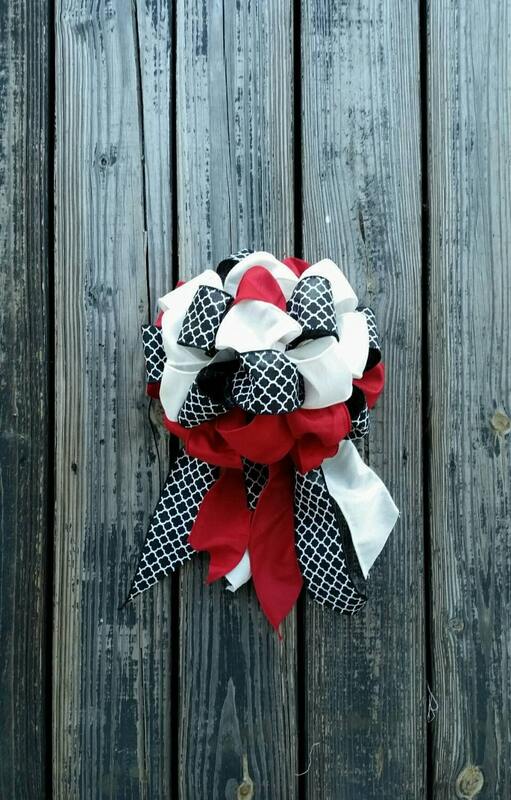 Maybe you home decor is modern or you have a wreath that needs a spruced up bow. 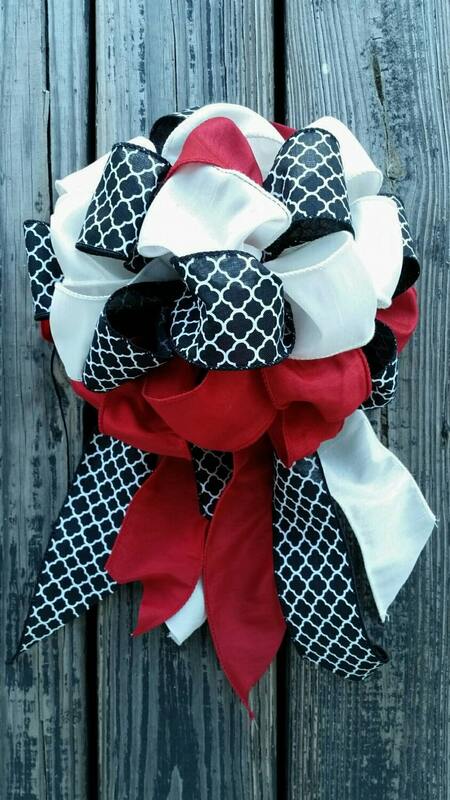 Perhaps you want to change your Christmas decor this year or you want to add a beautiful, handmade bow to all your Christmas gifts. If you answered yes to any of those questions I have the perfect accessory for you. If you are planning a wedding these bows make perfect pew bows either as stand alone decor or to add to a DIY floral pew design. 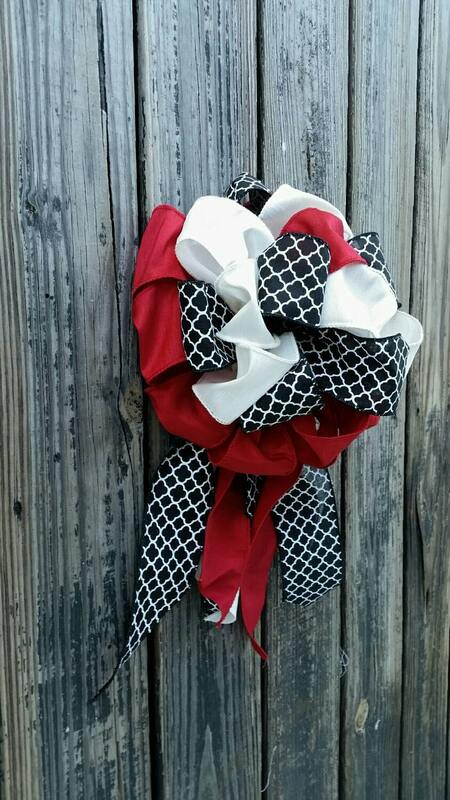 They are perfect to add to table edges or bunting. 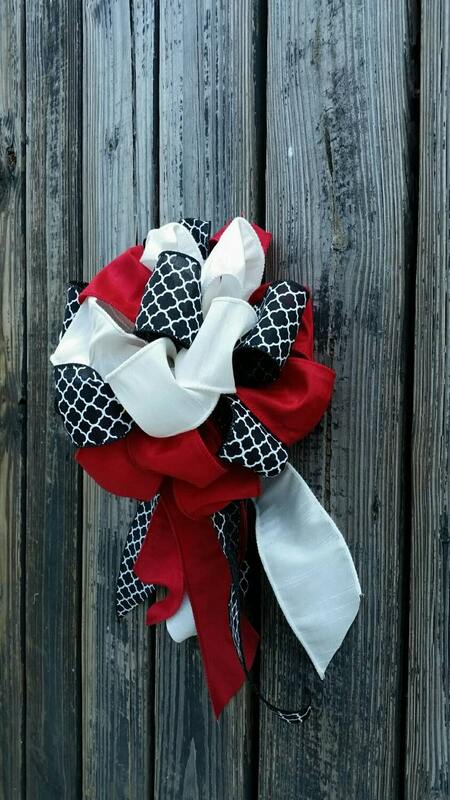 Add to Christmas garlands and wreaths or your Christmas tree. They measure approximately 11 inches wide by 19 inches long. 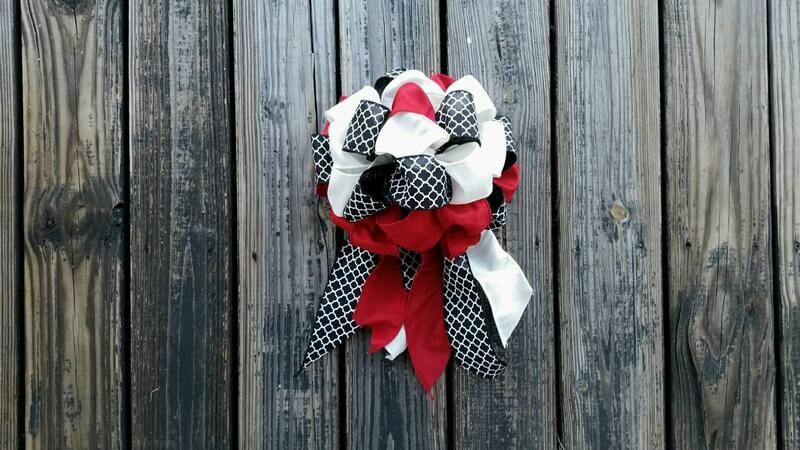 I used red ribbon, white ribbon, and black/white quatrefoil ribbon for this bow.